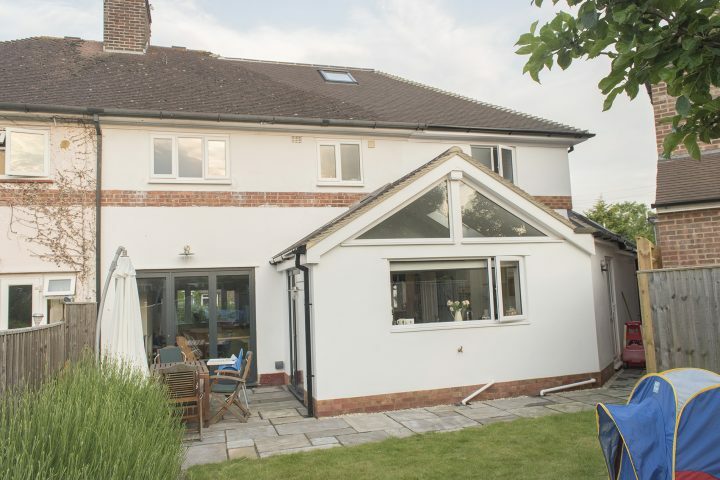 The design for this scheme was to add much needed living and bedroom space within an unusual shaped tapering plot. 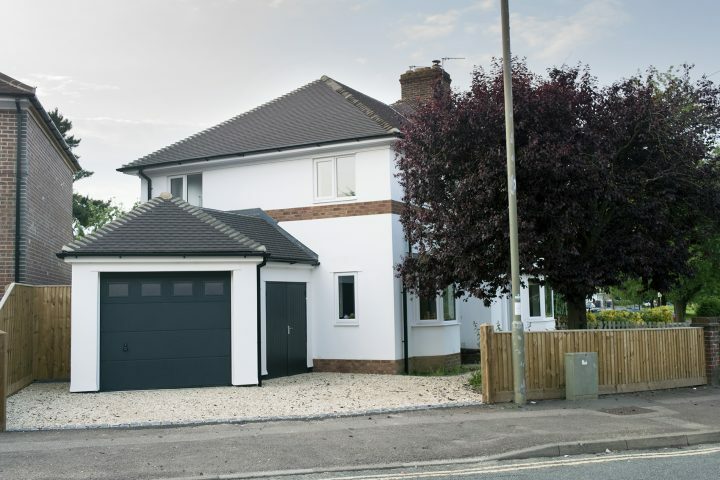 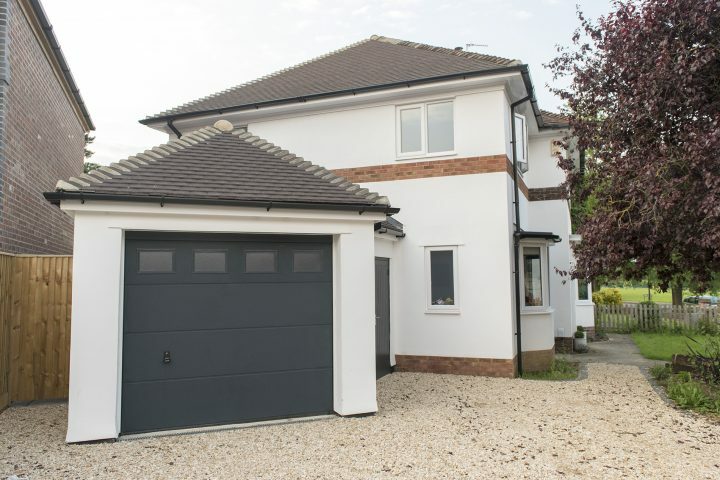 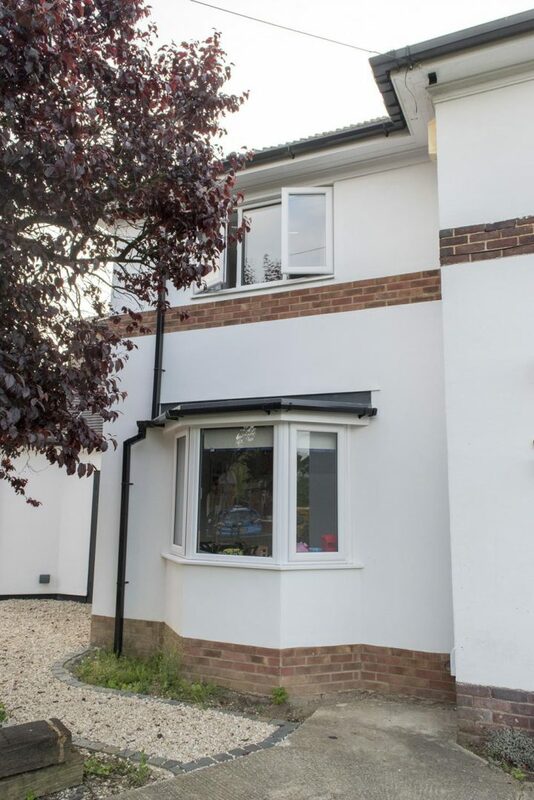 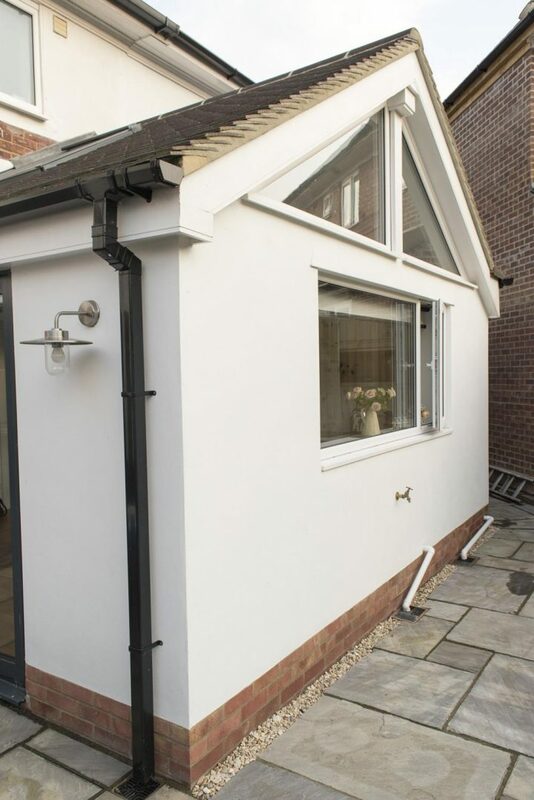 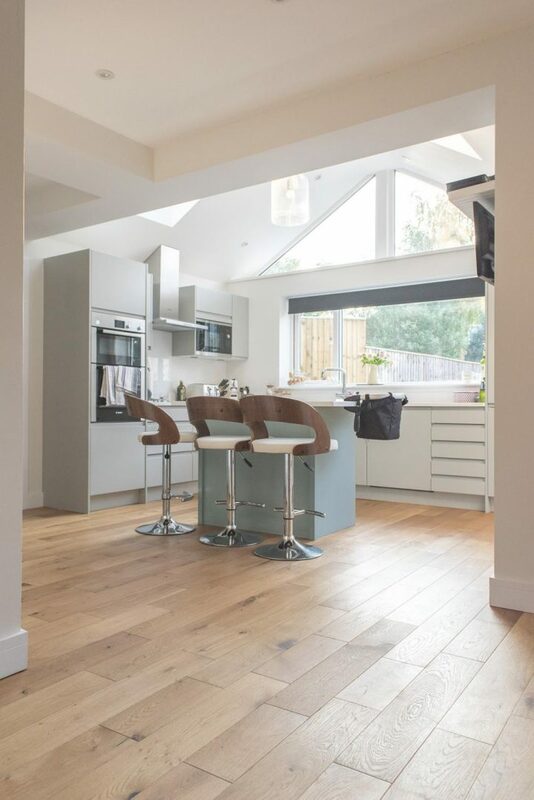 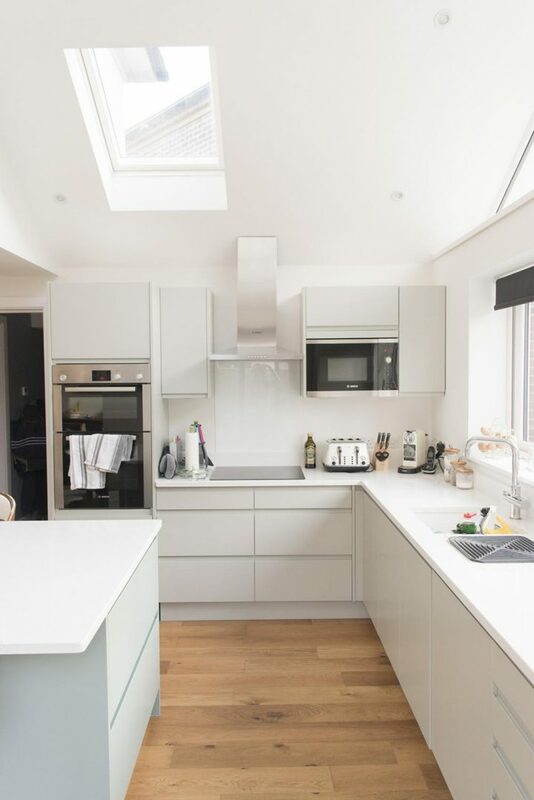 New garage and utility spaces were designed to make the best use of the angled boundary, with a 2 storey main extension creating a new Masterbedroom en-suite. 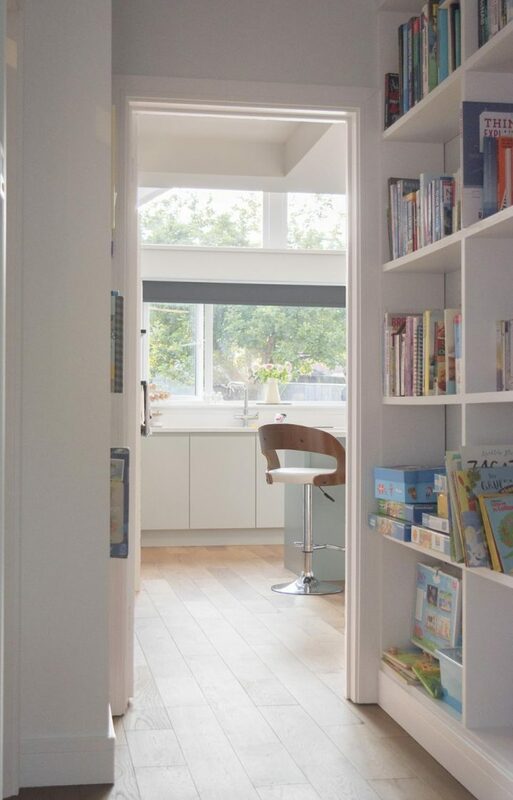 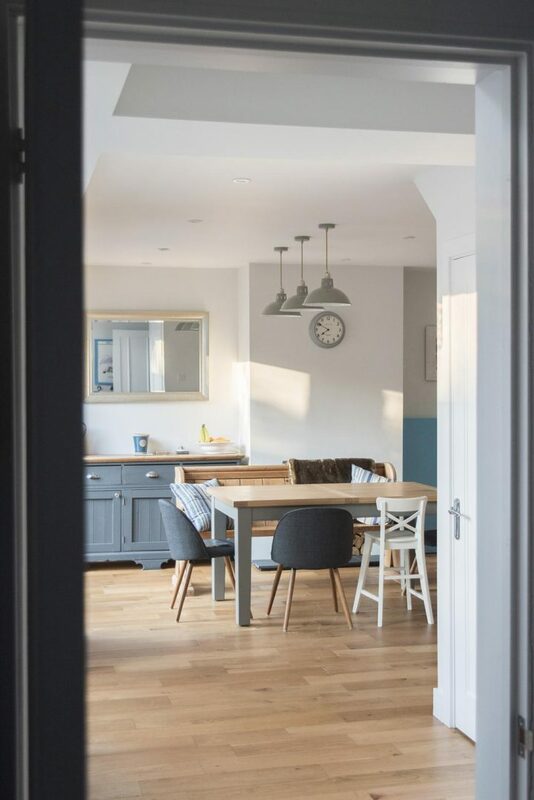 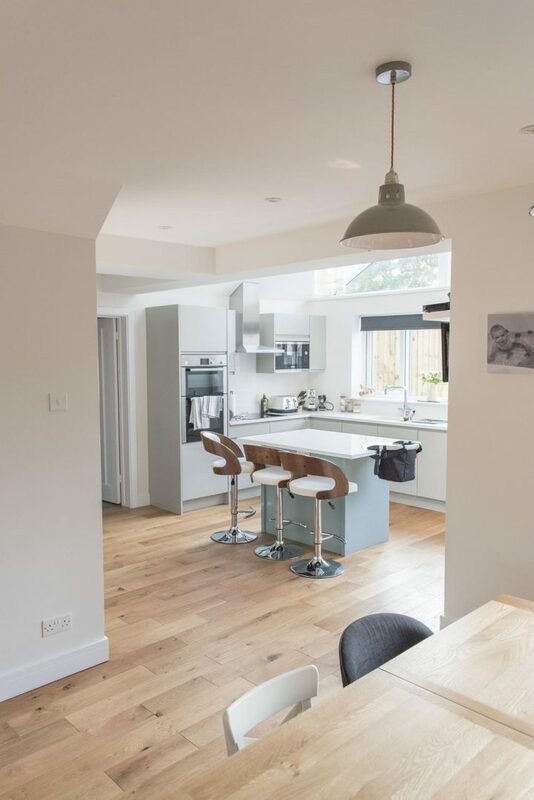 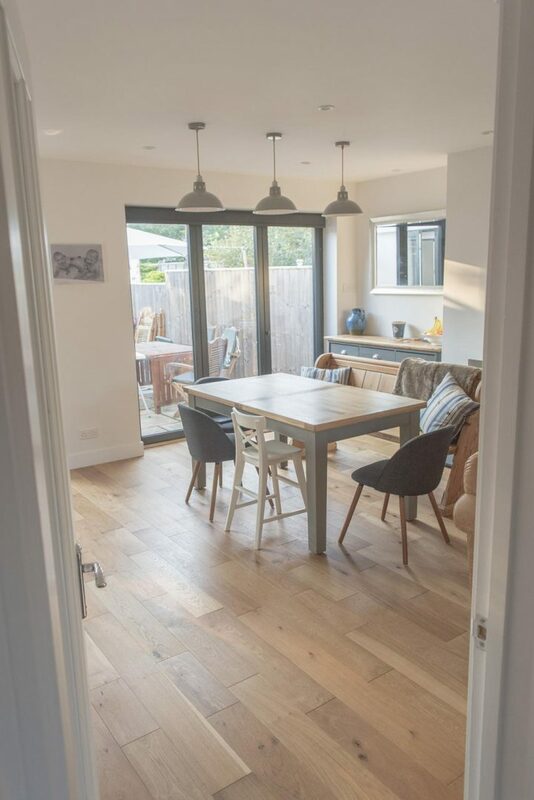 A single storey extension towards the garden allowed space for the new kitchen with plenty of natural light from the glazed gable window.